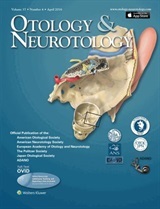 Otology & Neurotology publishes original articles relating to both clinical and basic science aspects of otology, neurotology, and cranial base surgery. As the foremost journal in its field, it has become the favored place for publishing the best of new science relating to the human ear and its diseases. The broadly international character of its contributing authors, editorial board, and readership provides the Journal its decidedly global perspective. TWO MORE COCHRANE SCHOLARS NAMED! Due to the high number of superb Cochrane applications received, the ANS and AOS Councils mutually agreed to fund two more Cochrane Scholars in 2018. Congratulations to the following recipients! 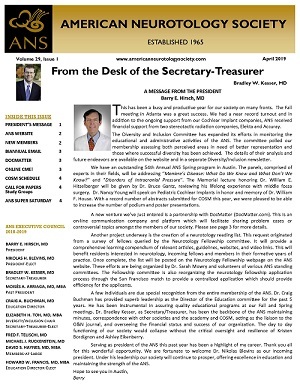 Please join us in congratulating Dr. Bush and Dr. McRackan, who will choose a Cochrane course and subsequently submit a Cochrane-quality review for Otology & Neurotology. In addition, they will be placed on the Editorial Board to assist with editorial reviews of meta-analyses.